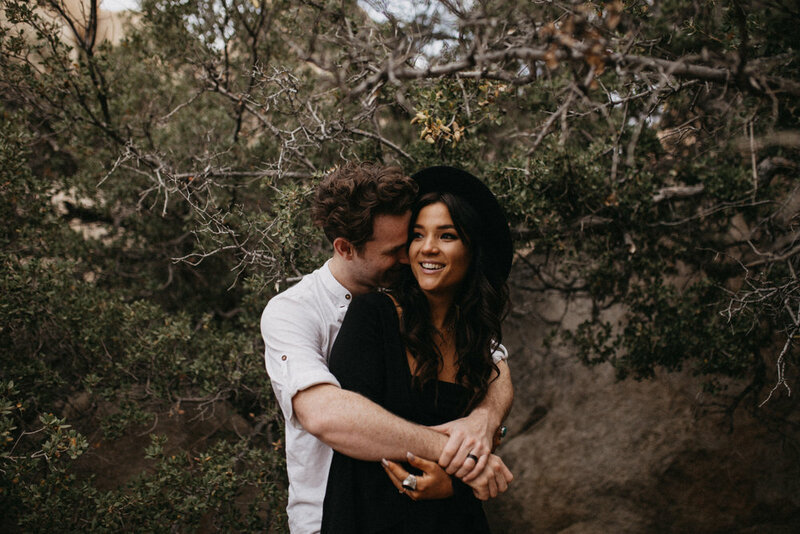 GINA + MICHAEL | JOSHUA TREE, CALIFORNIA COUPLES SESSION | DESTINATION WEDDING PHOTOGRAPHER — Payton Marie Photography | Oklahoma City and Destination Wedding Photographer | Weddings. Engagements. Worldwide. HOT DAYUM THESE TWO, AM I RIGHT?! Last November, I attended a photography workshop hosted by the amazingly talented Eastlyn + Josh Tolle and Nicola Harger in gorgeous Palm Springs, California. Not only was it my first time to Palm Springs, but also Joshua Tree National Park. Annnnd if you've been following my work for any amount of time, you know I'm way past obsessed with that place. This is some of the magic we created during the workshop. Gina + Michael were our models, and can we just talk about how stunning they are?! Marriage and love sure look good on them. I will never get over this place, those desert colors, and its sunsets, man. They took my breath away every single time. Payton Marie Photography is run by Payton Wilson, a local and destination wedding photographer based in Oklahoma City. She specializes in working with adventurous couples in stunning locations, showcasing the beauty of this world alongside the wild love shared between two people. No destination is too far, but whether at home or abroad, she focuses on creating photos that are real, emotional, and unforgettable.